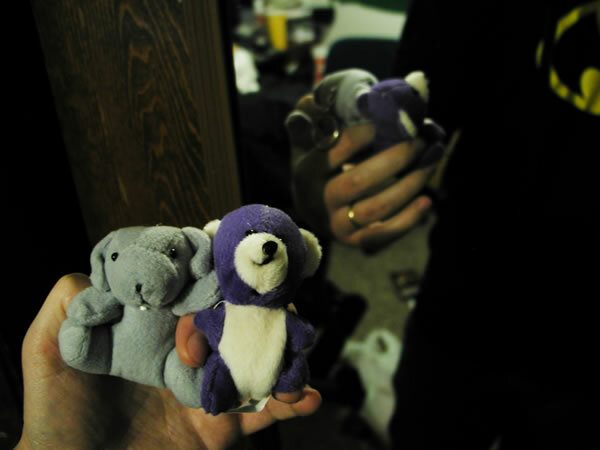 I won these little stuff animal keychains from a toy-grabbing claw machine. They are of such low quality that one of the keychains simply fell out of its stitching. I imagine the arcade makes money even if every claw drop yielded a win. That's how cheap they look!